The name of "E. Bon" was given by its founder, who had worked as a senior operator for overseas cruisers. E stands for East, the Pearl of East - Hong Kong; while Bon stands for the French word Bon Voyage, as known as Good Trip in English. E. Bon was established with a mission of bringing in quality products of the West to the East and introducing European lifestyle of Hong Kong. The Chinese name as 怡邦行 depicts the sound of E. Bon, with meanings of 'refreshing mind', 'friendship' and 'union'. "Sincerity & Quality" rewards loyalty. What we do is what you expect us to do. Besides Quality Products, we concern more on Quality Services. We are not striving for increasing sales, enhancing profit, pursuing for growth or gaining market share. We are not beating the competition. Our mission is Fulfilling customers' need. Our goal and achievement is built on the continuous enhancement of Customer Value. 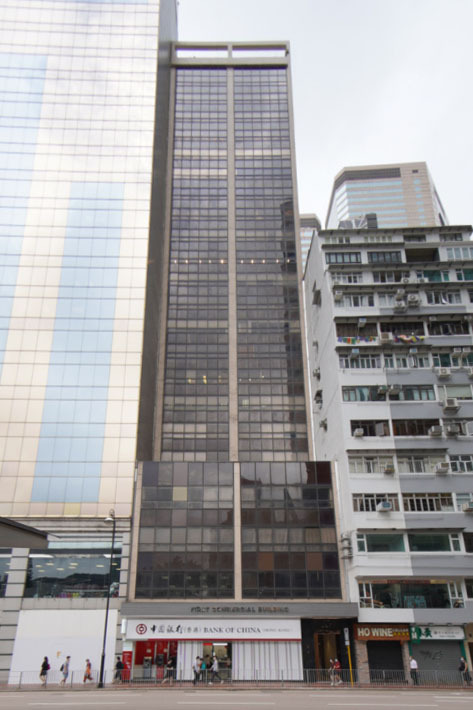 The E. Bon Group of Companies (E.BON), established since 1976, whose holding company is listed on the Stock Exchange of Hong Kong Limited (Stock Code : 00599). E.BON is also known as one of the major suppliers of architectural hardware, bathroom, kitchen collection and designer furniture in Hong Kong. This successful Group started as a humble, traditional hardware shop in 1976. Founded and operated as a partnership of three gentlemen, the shop developed its own trading division by direct import from overseas in 1979. Since then, E.BON’s principal activity has significantly grown and the Group has engaged in the trading in architectural hardware, and eventually extended to bathroom, kitchen collection and designer furniture to both local and overseas markets. E.BON actively participates in commercial and residential projects in Hong Kong, mainland China and Macau. Presently, its staffing members have been over 169. To fulfil and in response to the customers’ needs, E. Bon Group, organised into different subsidiaries, supplies a wide range of builders hardware, bathroom, kitchen collections and designer furniture. These products have proven to be successful in meeting our customers’ needs. E.BON places emphasis on ‘Quality of Services’. Our competitive edge is based on sincere concern for customers. Services are not only started at our marketing effort, but also include punctual delivery and efficient follow-up. Our services has helped gain customers’ trust and market recognition. Our job reference list is self-explanatory. You may find some of familiar ones on enclosed list. Along with the move of living standards, desire of lifestyle and the infrastructural change in the markets, our quality products and services will continually upgrade to fit into this market trend. Home users will find what they are looking for easily. The future direction of E.BON is to continue to lead the way towards higher level of customer services, and to cling to its corporate mission while boosting its competitive advantages to serve the markets with maximum quality. With growing demands for premier living environment of the population, in 2018, E.Bon moved to Columbia Circle, a cultural landmark which had been revitalised from a group of 1920 establishments. The Group re-arranged the display layout for its product range (quality builders’ hardware, sanitary wares and fittings, furniture and kitchen collections). The relocation of Shanghai showroom marks a major development of the Group in China. It is to present a home interiors solution by durable, timeless and advance elements. Going forward, the Group continues its presence in commercial and residential projects in the mainland China. We are proud of the excellent growth in recent years. We aim to serve customers to total satisfaction. Service becomes an inseparable part of every quality product we sell. E.BON’s philosophy has always been to sell products with quality after-sales support. We believe the job doesn’t end at the conclusion of a sale. To accomplish customer total satisfaction as primary goal, all products sold are supported by our knowledgeable and caring colleagues.